I have been an embalmer since 1999 and I knew I wanted to look after people who had died from a young age. With the support of my Mum and Dad I was admitted to the Salisbury College of Funeral Sciences at the tender age of 17. After graduating I spent a few years working as a post-mortem technician and providing embalming services to local Funeral Homes before joining a well-known corporate funeral group as an embalmer. During that time I progressed to become community manager and funeral director. I now live and work in Northampton as an Embalmer for an Independent Funeral Director. 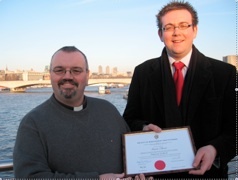 I am a member of the British Institute of Embalmers and the European Association of Embalmers. 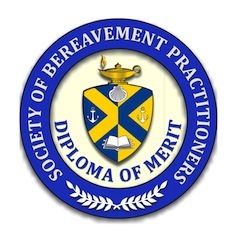 In December 2009 I was awarded a Diploma of Merit by the Society of Bereavement Practitioners in recognition of my mission to help griefworkers create the best viewing experiences for bereaved people. Needless to say this was a huge honour for me and I'm simply delighted that my work has been recognised.